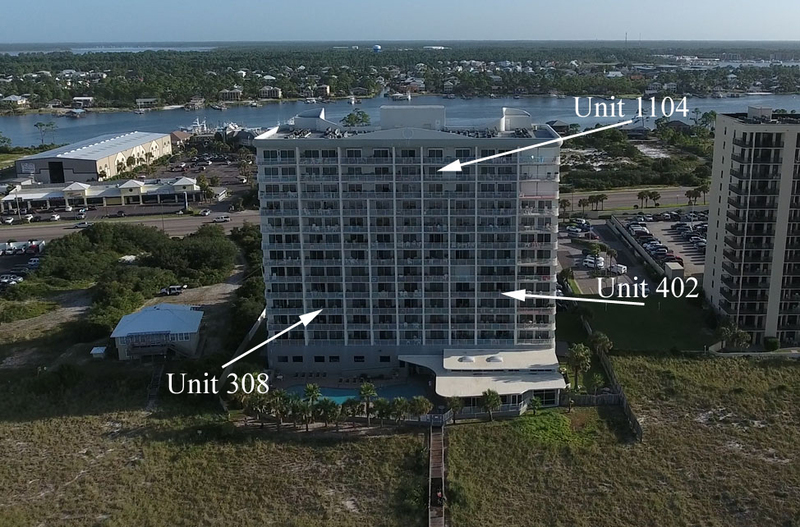 Tidewater 308 is a 2BR gulf front unit on the Western side of the building and offers great views of the Gulf of Mexico and Perdido Pass in Orange Beach, AL. Tidewater 1104 in Orange Beach, AL offers great views of the Gulf of Mexico and Perdido Pass in Orange Beach, AL. Enjoy the beautiful beaches and watch as the boats drift in and out of the pass night ans day. Minutes from Gulf Place in downtown Gulf Shores, the Wharf in Orange Beach and Florida, Tidewater is a great place to enjoy the Gulf Coast. Tidewater 402 – Tidewater’s amenities make it a popular vacation destination throughout the year. Come in the summer and have a family cookout around the grills, where you can cook up the fish you catch off the Gulf. During the winter, everyone can hang out around the indoor pool and relax in the hot tub before heading out to one of the numerous nearby restaurants. This is a Gulf-front condo with stunning views just steps away from white-sand beaches and the warm waters of the Gulf of Mexico.